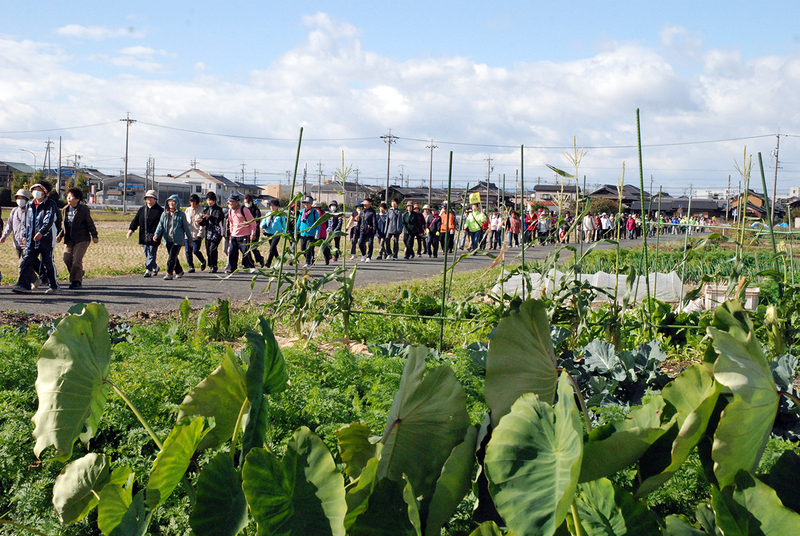 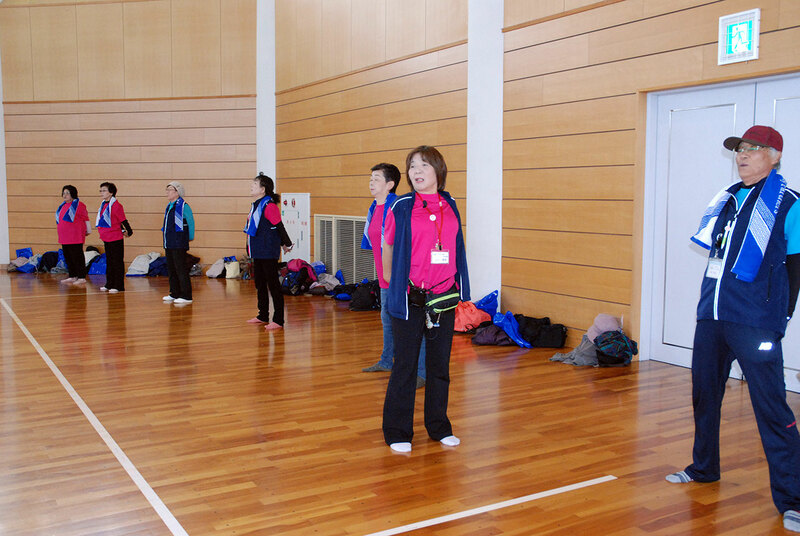 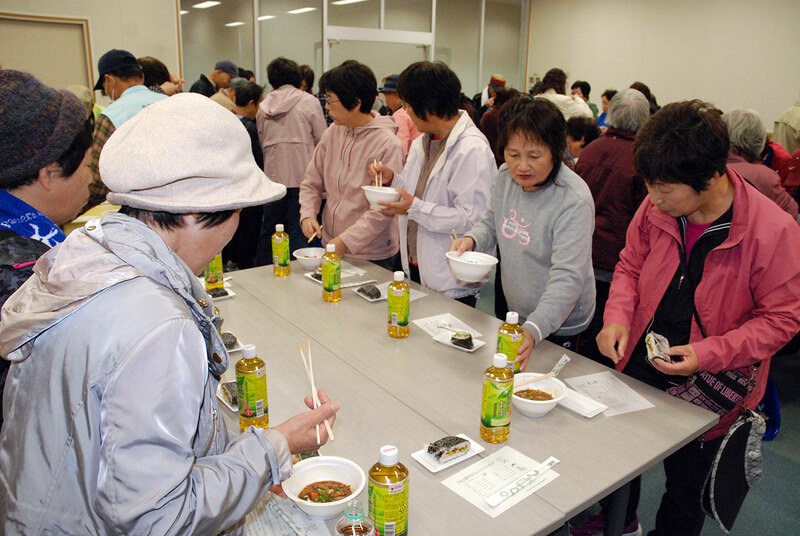 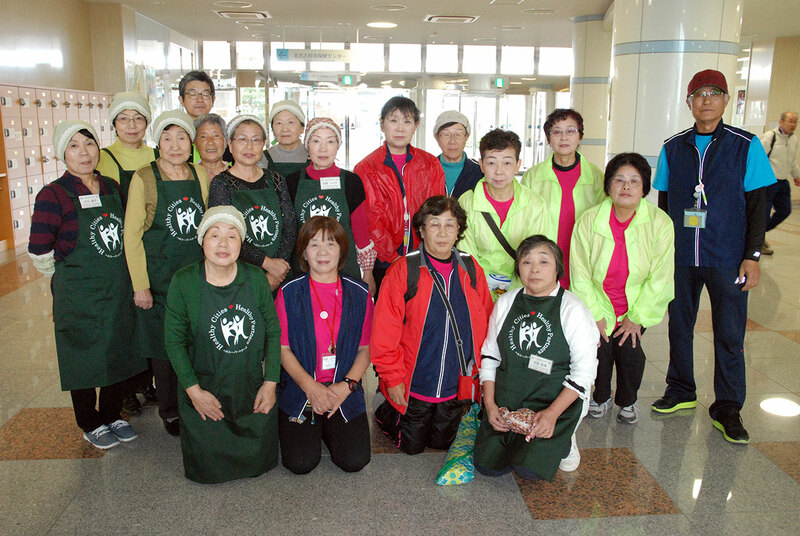 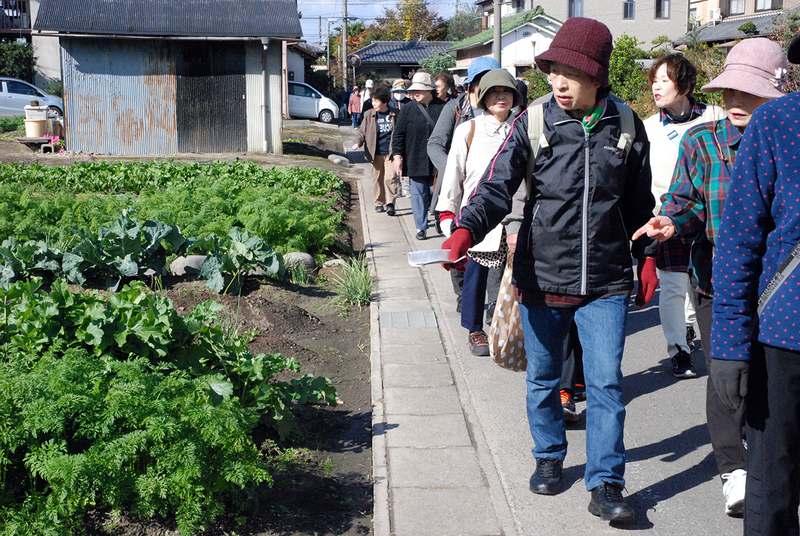 It was a collaboration event of food and exercise which is a basics of health and was hosted by Kitanagoya Walking Association and Kitanagoya Dietary Improving Association with cooperation of NGO Healthy City Support Organization as a part of the “Healthy Partners” project. It goes without saying that exercising habits and proper diet lead to prolonging life expectancy and prevention of lifestyle related disease. However, there are people who cannot find opportunity of such healthy behavior or continue doing it. 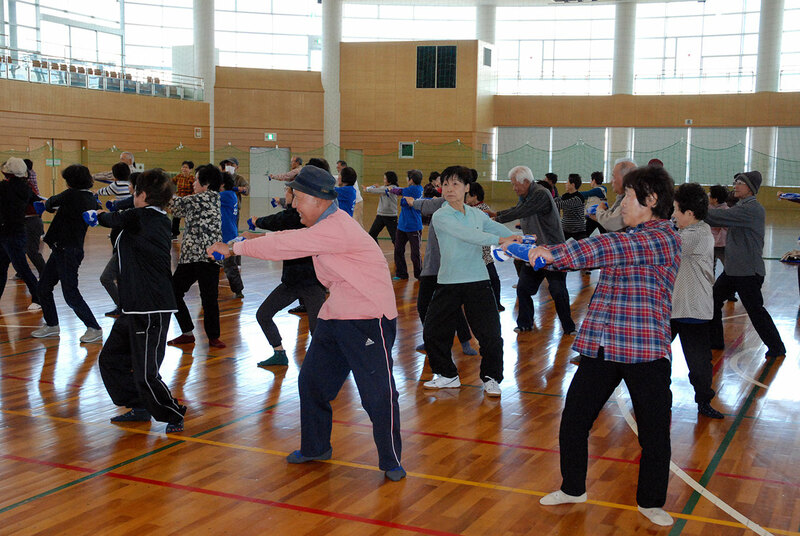 Adopting lifestyle habits improvement is not so easy for some people if it requires effort or hardship as humans tend to lead easy life. This event was planned to offer an opportunity to engage in health promotion with enjoyment. By “Delicious”, we mean that both exercise and diet is delicious for body. 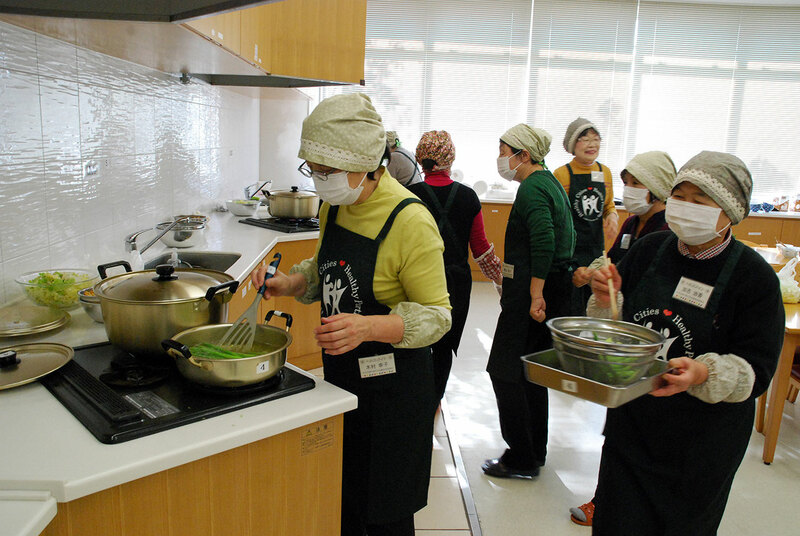 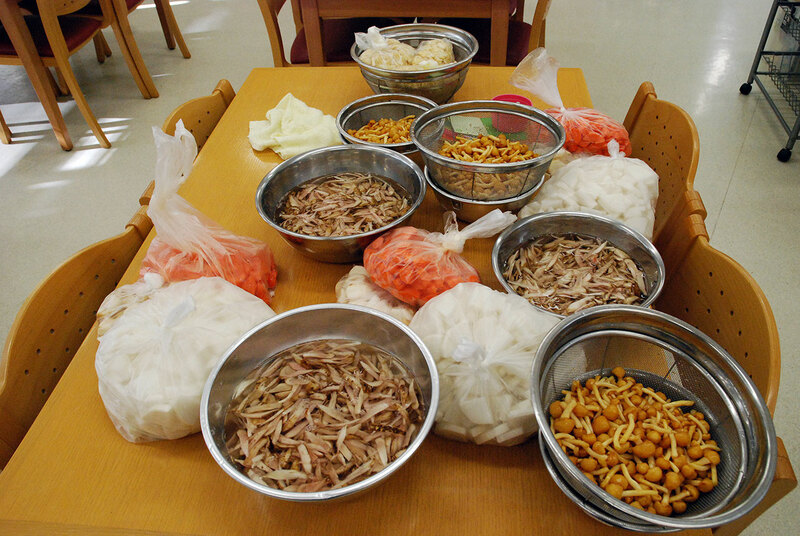 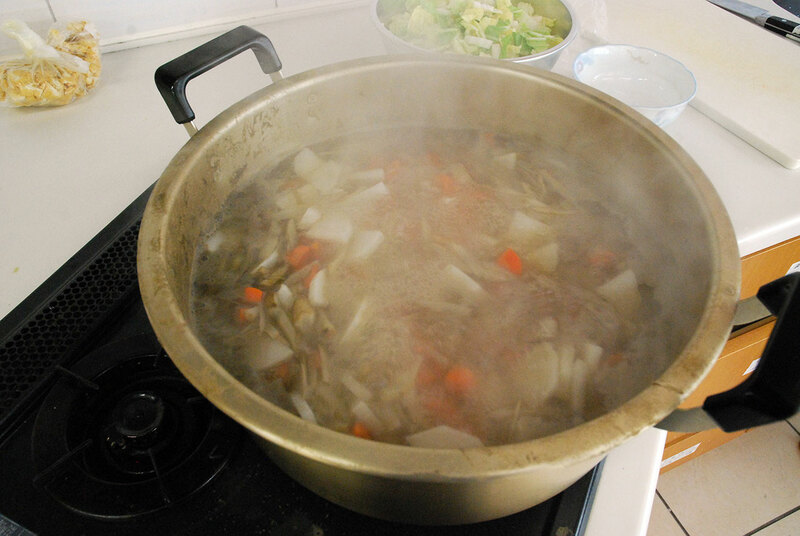 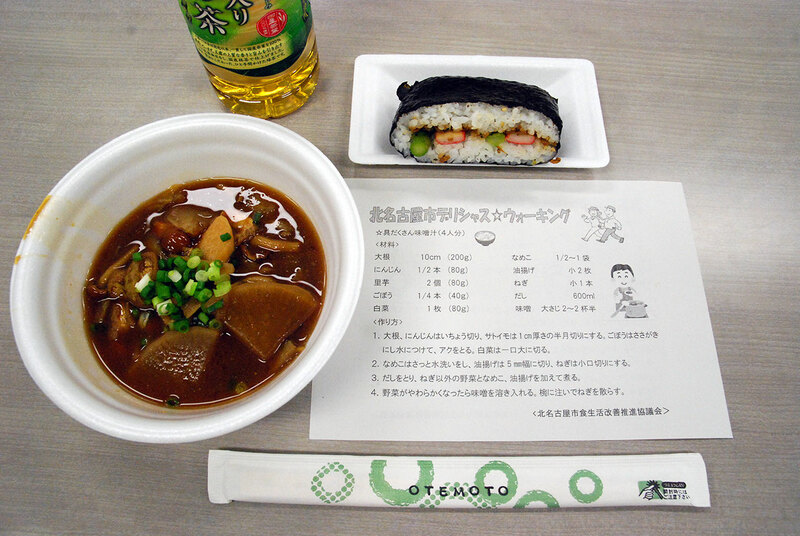 In the kitchen of the Health Dome, members of the Kitanagoya Dietary Improving Association prepared ingredient for the healthy lunch from previous day. 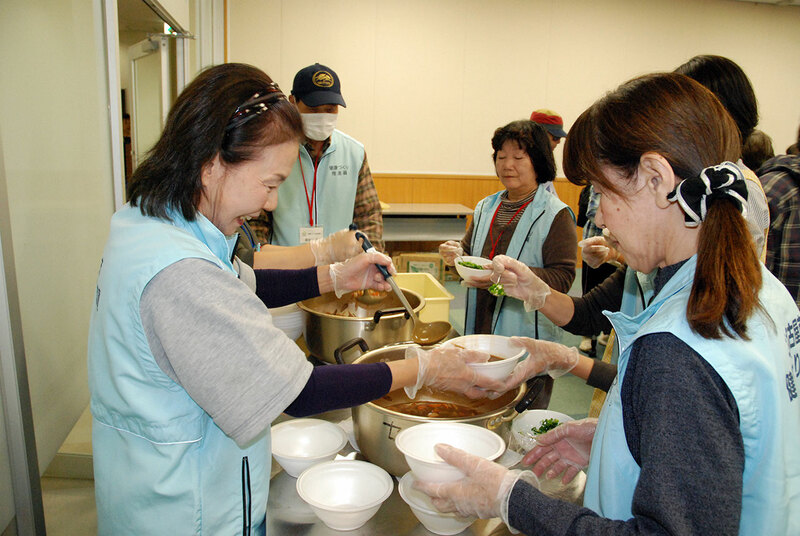 In the morning, they were busy in cooking rice ball and miso soup. 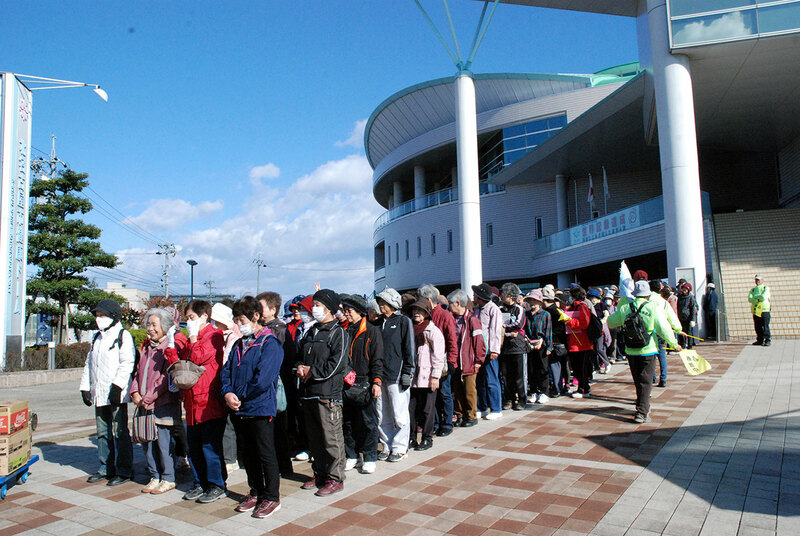 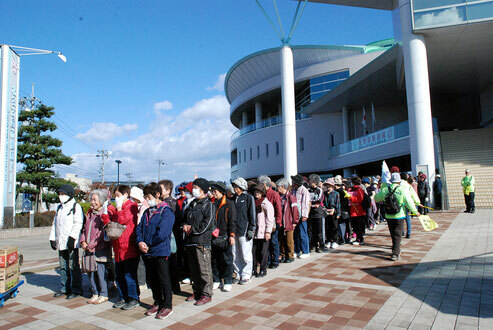 Participants appeared at the front entrance of the Health Dome. 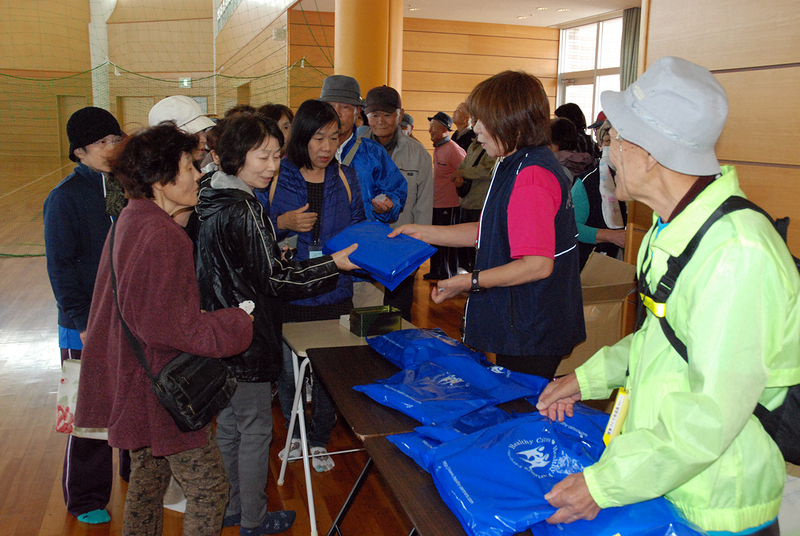 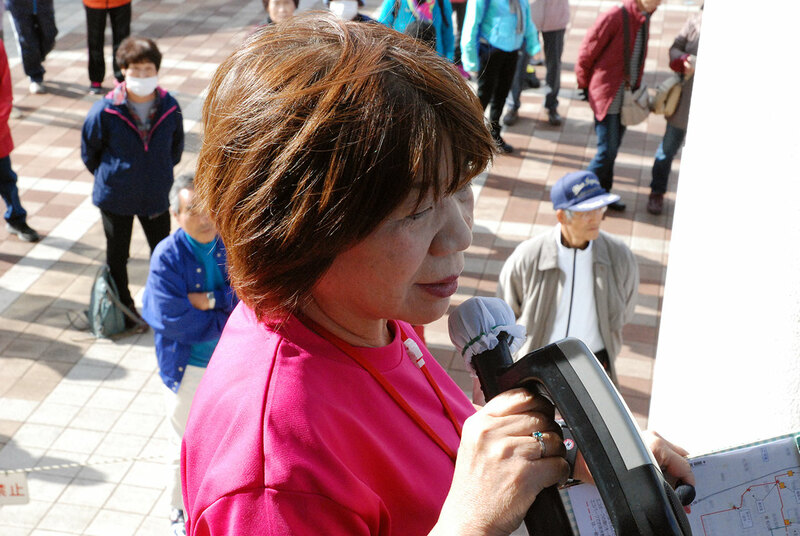 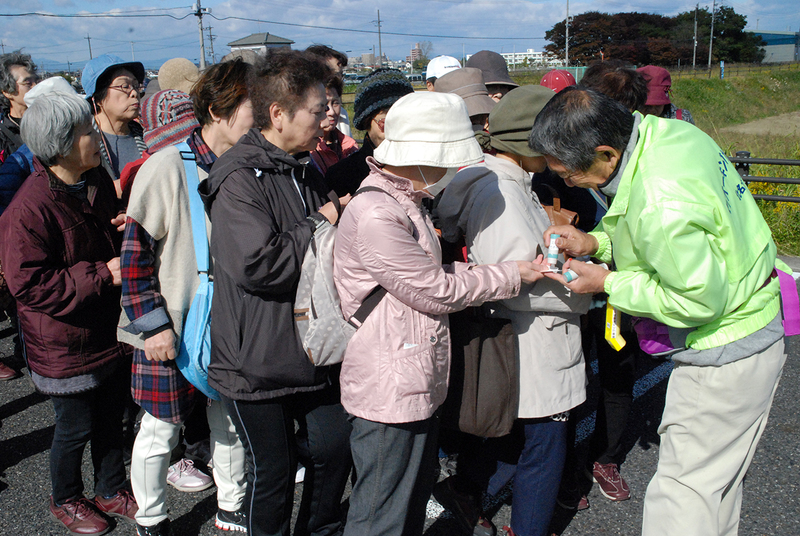 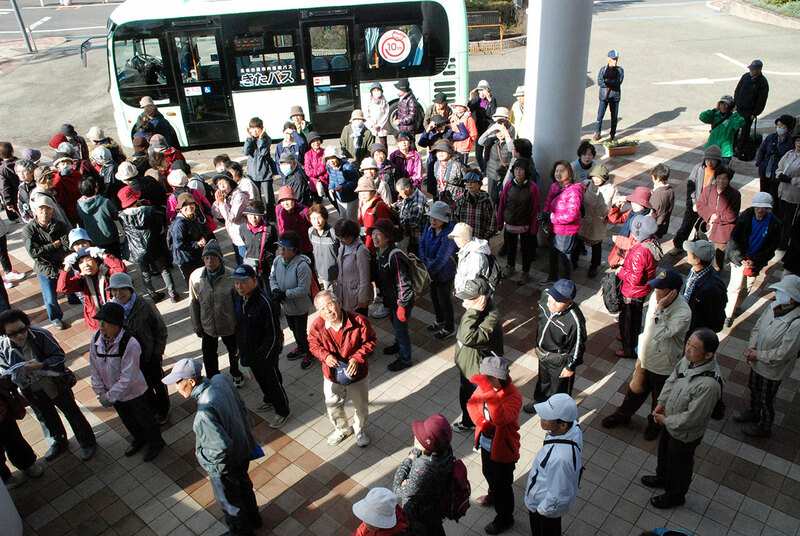 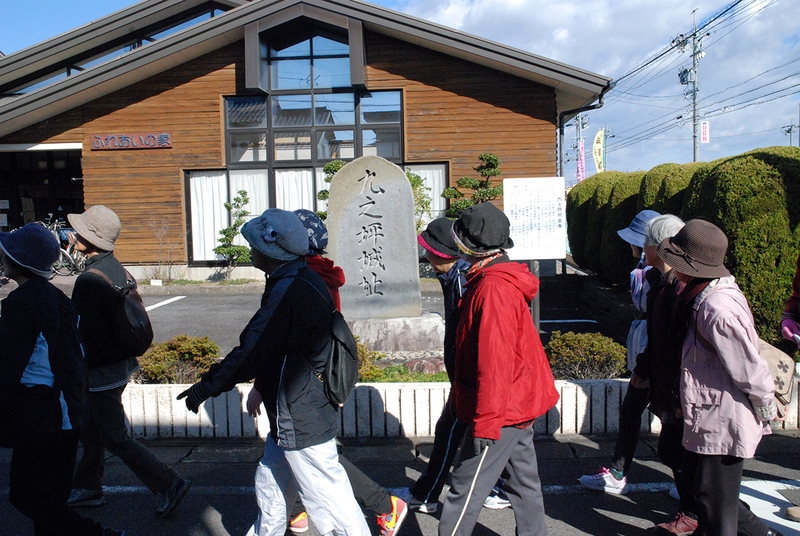 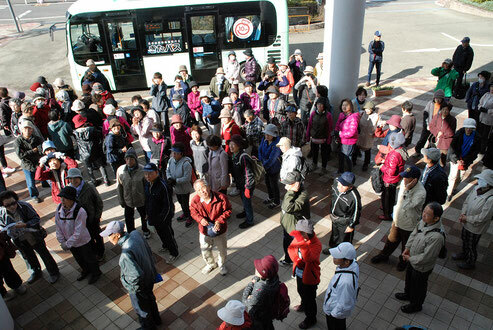 Ms. Yamaguchi, Chairman of the Kitanagoya Walking Association greeted them. 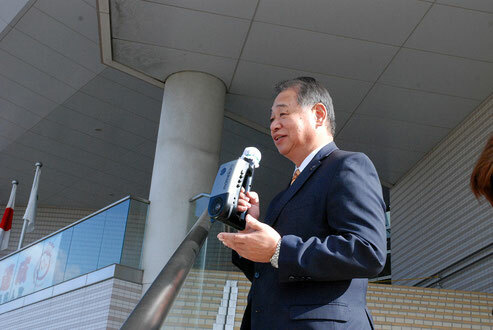 Then, Mr. Takahashi, advisor of NGO Healthy City Support Organization, gave an opening address, saying that such collaborative event of exercise and healthy food hosted by civil volunteer groups is unprecedented in Japan; and hoped this event would aspire participants to begin or continue healthy life. 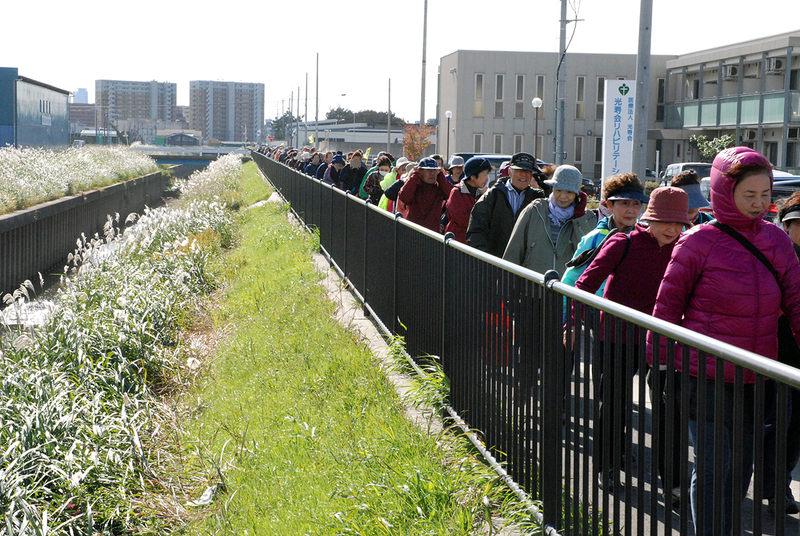 Walking course loops about 5 km. 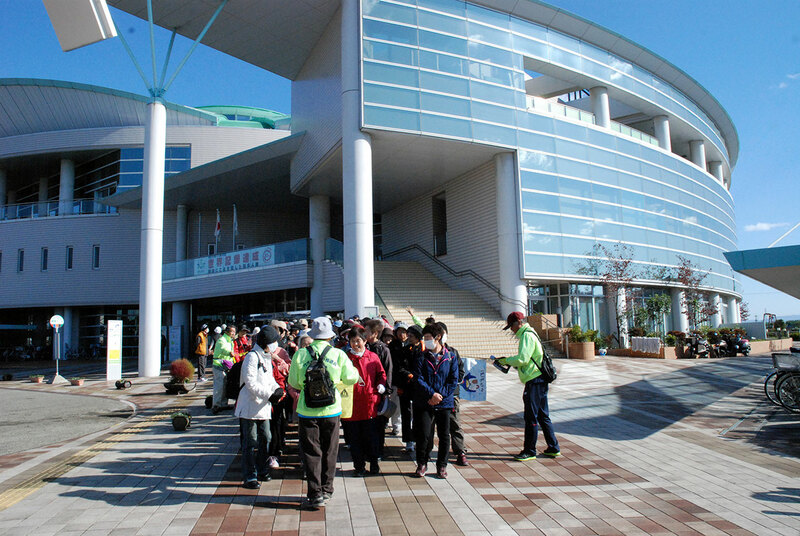 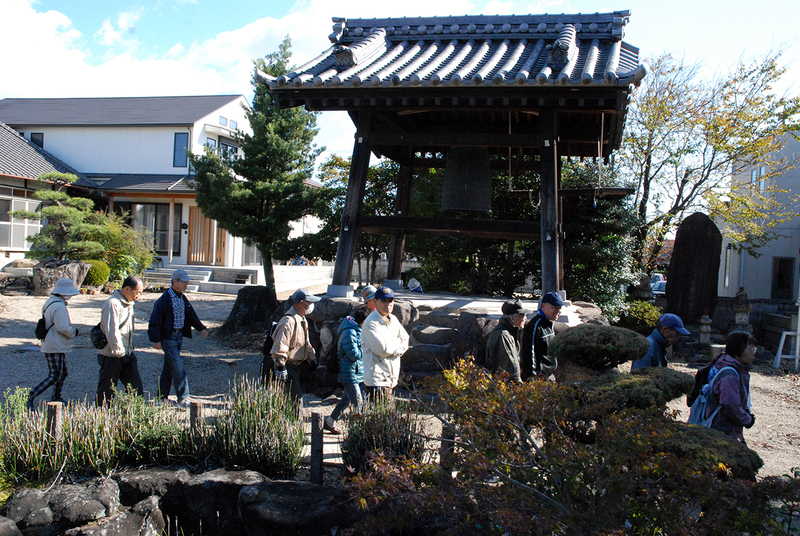 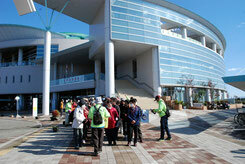 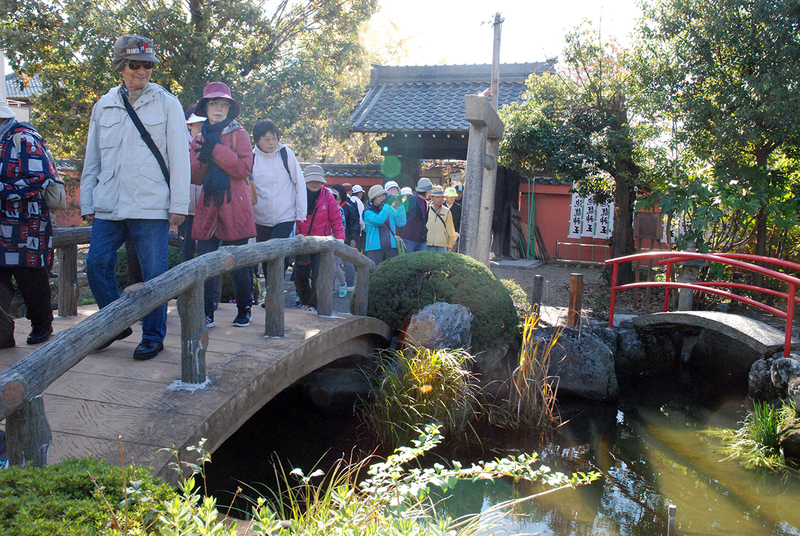 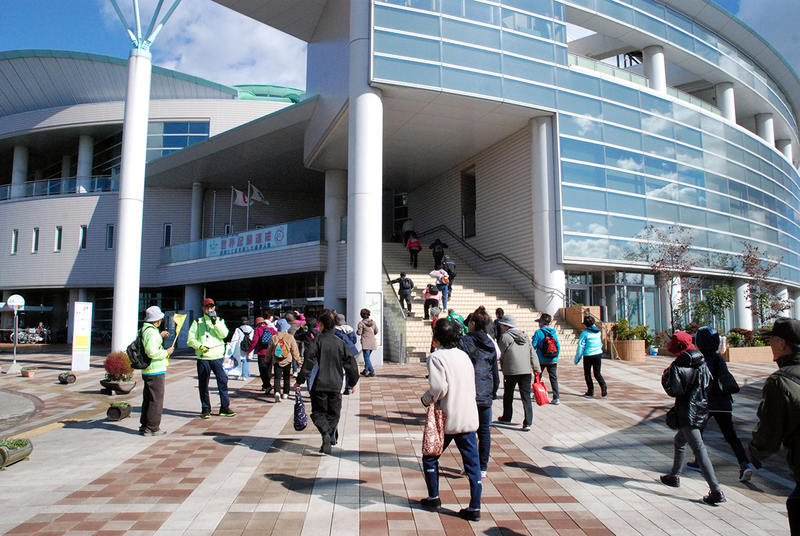 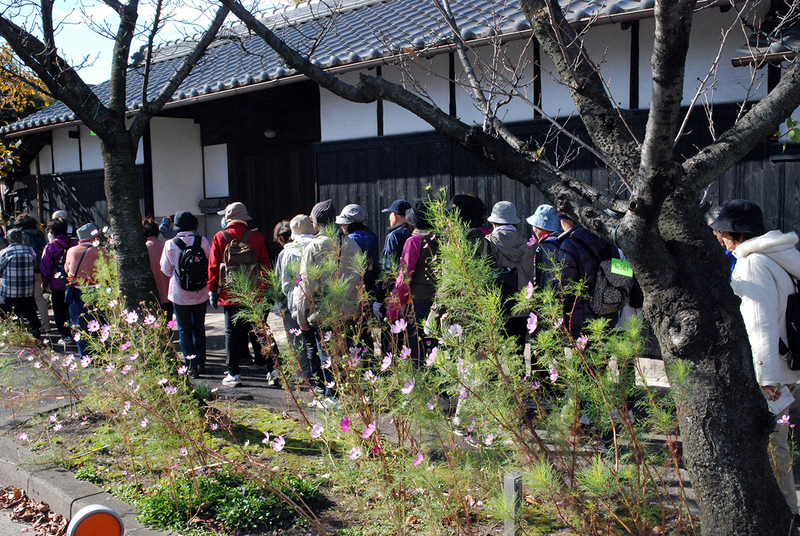 It starts the Health Dome and go through ruins of Kunotsubo Castle, Zuiun Temple, Hirata Temple, and Kamoda Eco Park. 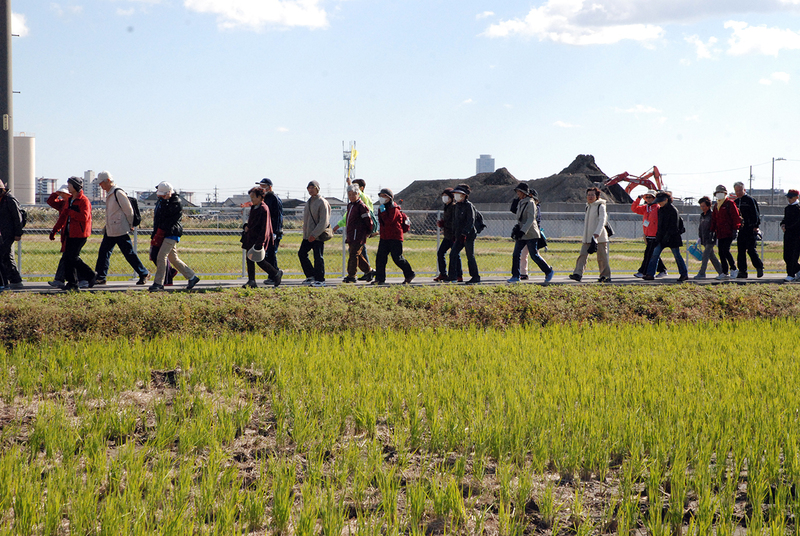 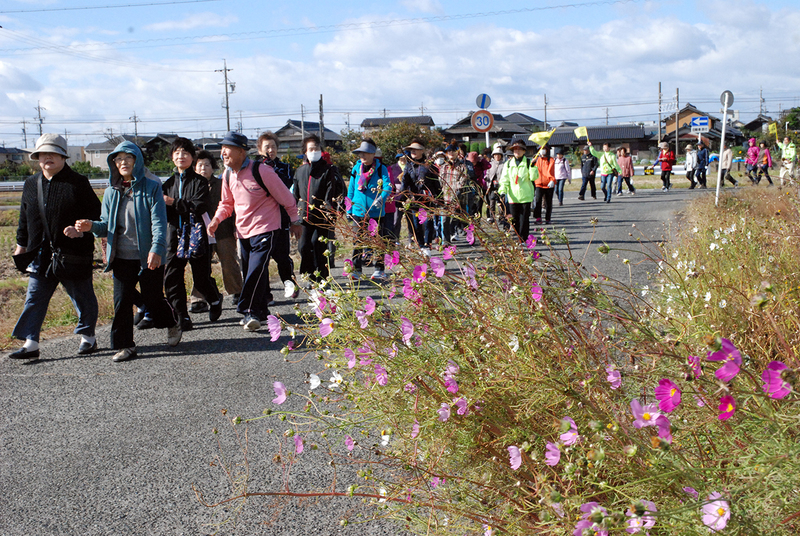 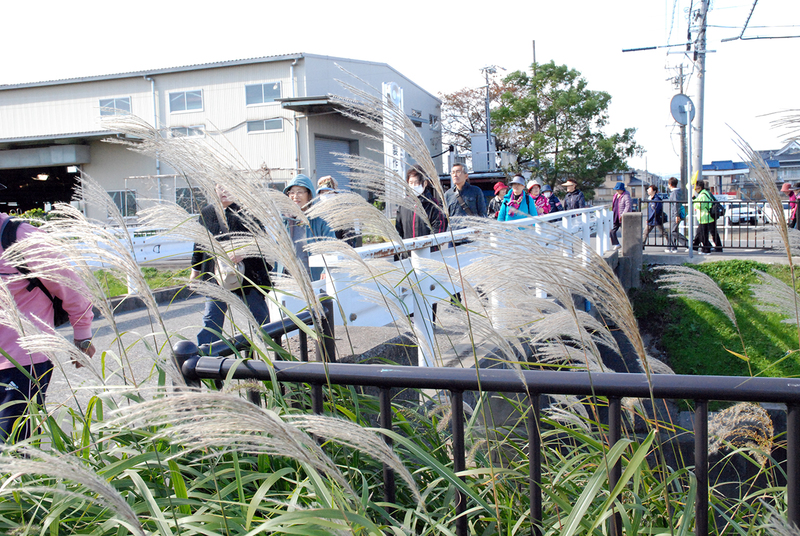 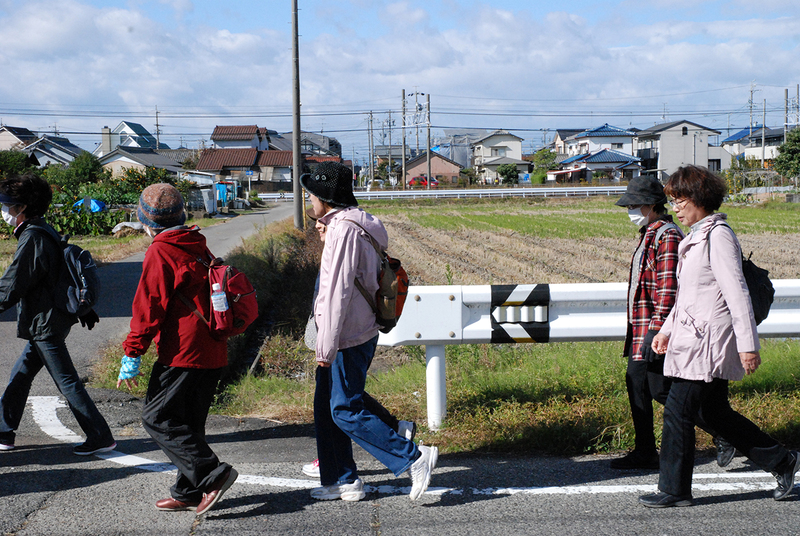 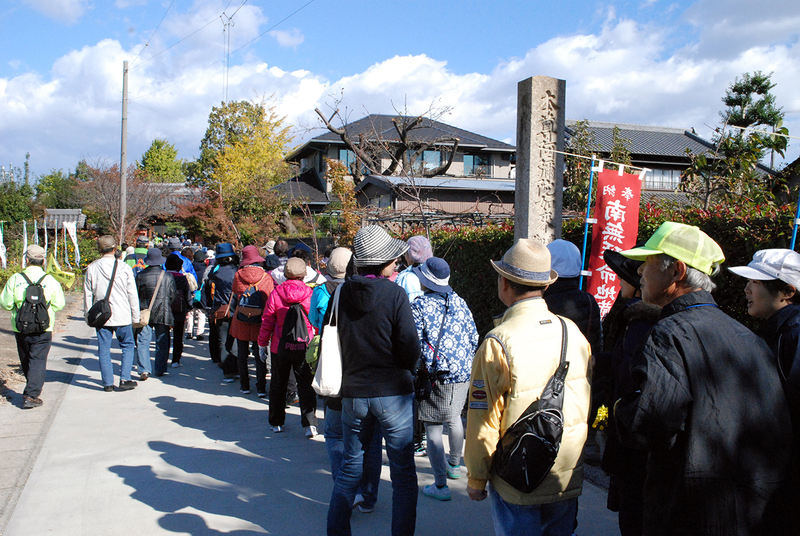 There is little up and down and participants enjoyed easy walk exploring rural scenery under fair weather. 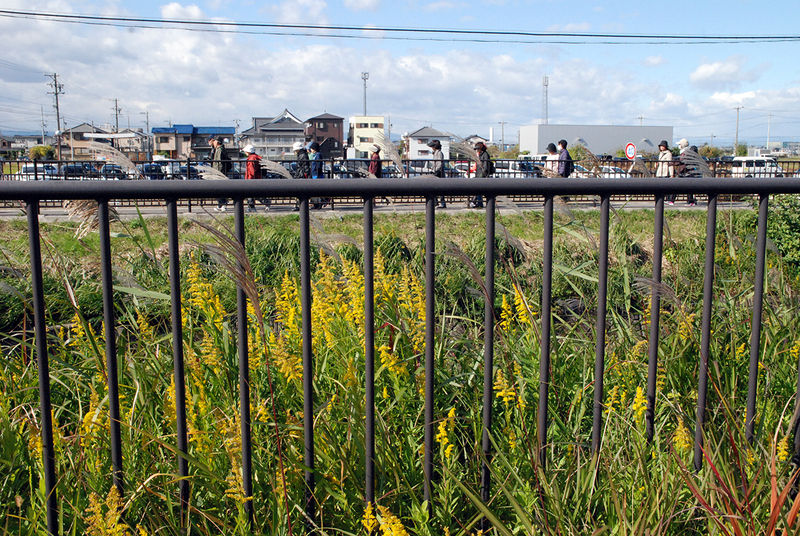 You can see the enlarged scenery by clicking below photos. 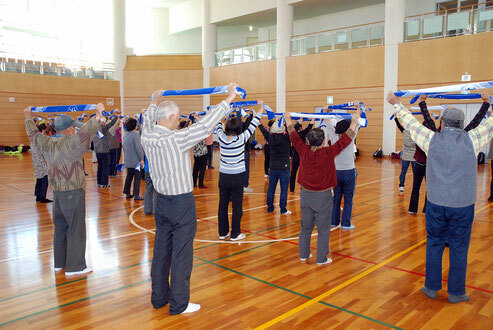 After walking, participants experienced towel exercise. Member of the Walking Association demonstrated how to stretch by using the original towel sponsored by the NGO Healthy City Support Organization. 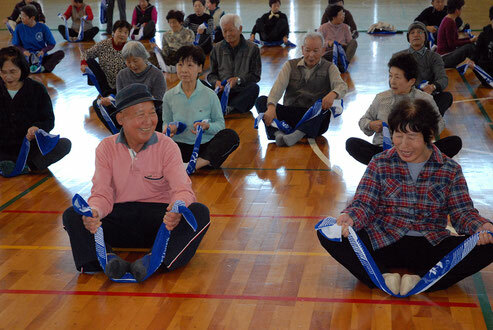 They were surprised to feel the effectiveness of using the towel. 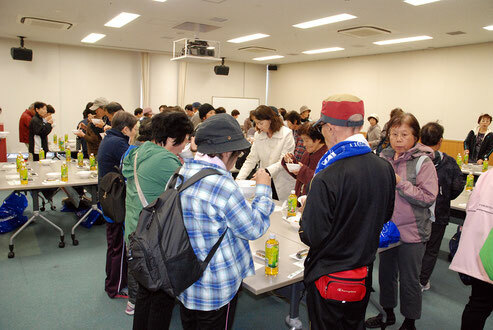 After the towel exercise, participants ate healthy lunch. They enjoyed taste and healthiness of the food with low salt diet while containing full of ingredients. 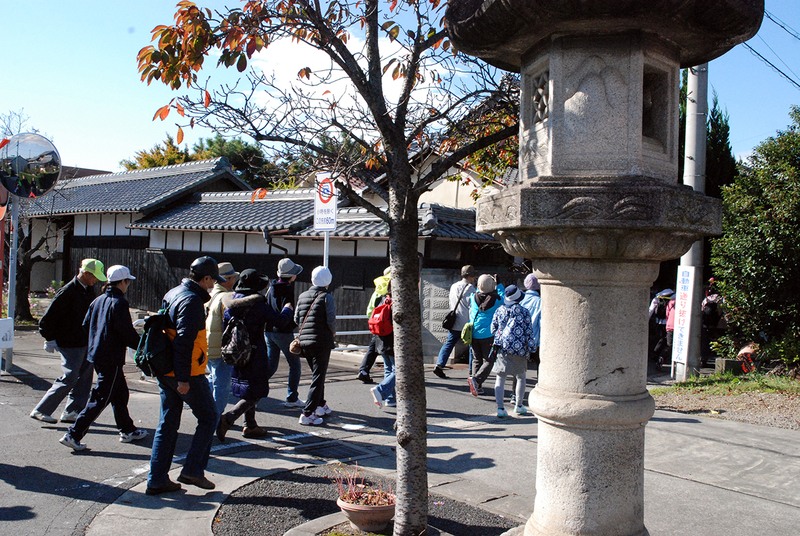 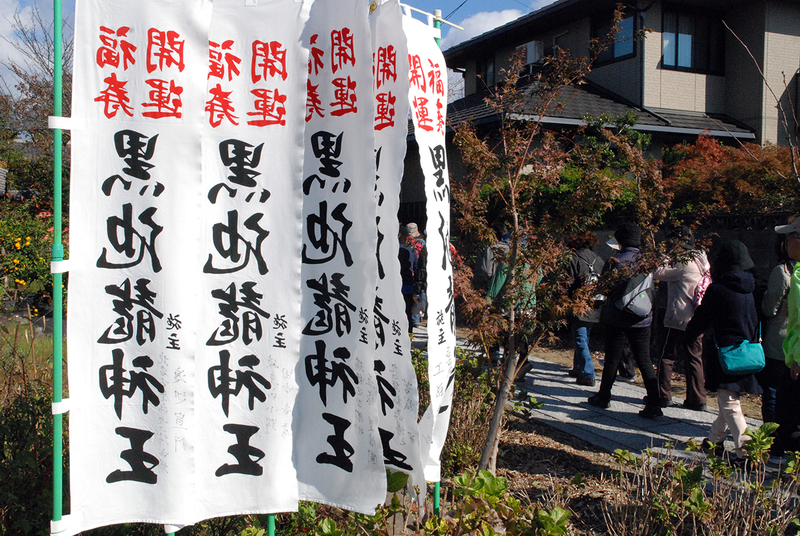 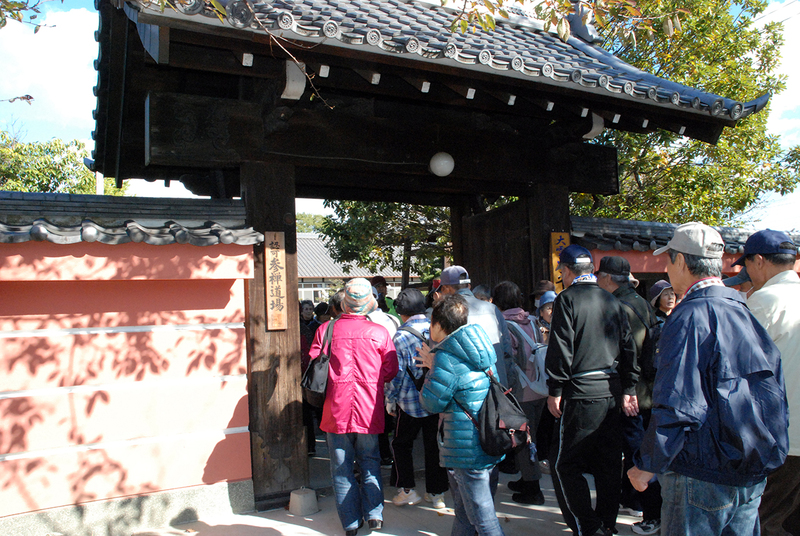 Thus, "Kitanagoya Delicious Walking" closed successfully. 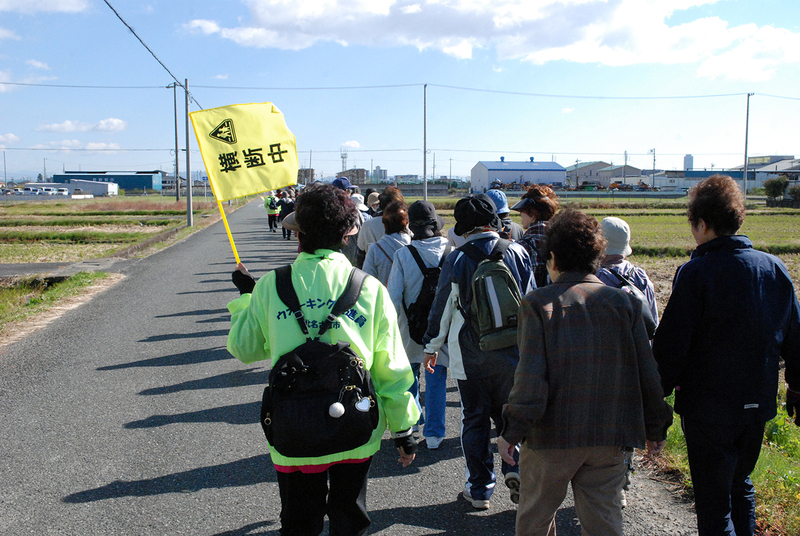 Followings are the excerpt of comments of participants.